CHICAGO — Before breakfast at Sixteen, a restaurant in the Trump International Hotel and Tower here the morning after the premiere for the film “The Case for Christ,” David A. R. White and Andrea Logan White requested a pause. 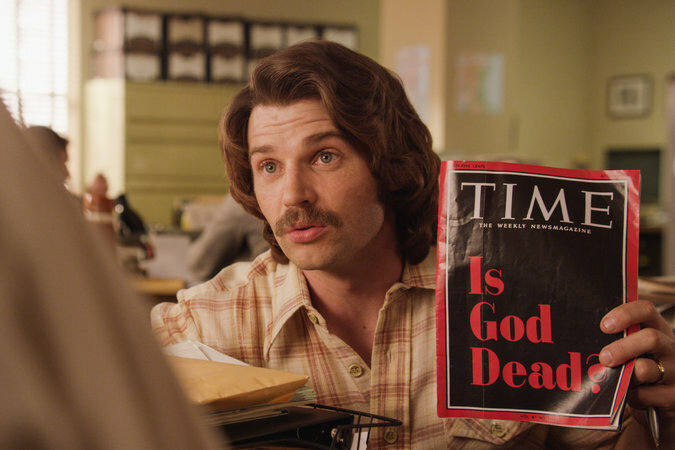 The disconnect between the mainstream news media and evangelical Christians is also a major theme of “The Case for Christ.” Based on the best-selling book written by Lee Strobel, a former journalist at The Chicago Tribune, the movie depicts his process of going from a hard-nosed newsman and atheist to a devout Christian and minister. It was produced by Pure Flix, a faith-based entertainment production and distribution company in Scottsdale, Ariz., that Mr. White helped found in 2005. In June 2015, the company introduced an on-demand streaming service. While Netflix denizens devour series like “13 Reasons Why” and “Breaking Bad,” PureFlix.com offers bingeable programming like “The American Bible Challenge,” a game show hosted by Jeff Foxworthy; “Family Affair,” a sitcom starring Brian Keith that ran from 1966 to 1971; “The Encounter,” a Pure Flix original scripted series about people who are visited by Jesus; and stand-up comedy from Sinbad and Louie Anderson. Next up is “Hilton Head Island,” a soap opera starring Antonio Sabato Jr. It also streams sermons and documentaries for parents who home-school. Last month, PureFlix.com had nearly 715,000 unique visitors, according to Alexa, a website traffic analytics company. Greg Gudorf, chief executive of PureFlix.com, said the service’s nearly 250,000 paying subscribers could choose from a catalog of more than 7,500 titles. “We’ve been blessed with really strong growth,” he said. Mr. White, whose book, “Between Heaven and Hollywood,” was published last fall by Zondervan, wants to make films, sitcoms and serialized dramas with family-friendly or religious messages. “Our God-given dream was to provide content on a consistent basis to be an alternative to what Hollywood was putting it out,” he said. Mr. White, who was raised a Mennonite in rural Kansas, saw just one secular film in a theater before he turned 18. (“The Mennonites make the Mormons look like a pack of Hell’s Angels,” he said.) A friend’s parents took him to see “Grease” and “when Olivia Newton-John came out in black tights and I thought for sure I was going to hell,” he said. This was enough to persuade him to drop out of Bible college after one year. His goal was to serve God through acting, but then he became interested in production, too. Pure Flix has made hundreds of films (“Do You Believe?” starring Cybill Shepherd), sitcoms, serialized dramas and web series including “On the White Track,” which stars Mr. White and his wife. On-demand services allow Christians of different disciplines to find content that speaks to their individual interests and beliefs. A theatrical feature film can be a tougher sell to a religious population with many different denominations. “The Case for Christ” also focuses on a theme that binds all Christians, the resurrection of Jesus. Set in 1980 and decked out with the cars, pastel clothes, handlebar mustaches and smoky newsrooms that conjure the dawn of Reagan’s America, the movie was filmed over six weeks in Atlanta and cost more than $4 million to make. It stars Mike Vogel (recently of the Syfy network’s mini-series “Childhood’s End”), the Tony-winning actress L. Scott Caldwell and Erika Christensen (known for her six-season work on the NBC show “Parenthood”). There are cameos from Robert Forster and Faye Dunaway. The film earned mostly favorable reviews from the small mainstream publications. It received an A-plus CinemaScore, measuring audience appeal, and has a 77 percent favorability mark from Rotten Tomatoes. By the end of its first two weekends in more than 1,000 theaters around the country, the movie had brought in about $9 million, perhaps less than Mr. White and his partners had hoped for but still delivering a tidy profit. Thanks to President Trump’s popularity among evangelicals and discussions of “fake news” abounding on the internet, the film has considerable resonance. Mr. Scott was wearing a red-stripe tie that Mr. Boskie bought for him at Trump Tower in New York. Earlier in the evening, Mr. Scott had been yearning for a pair of scissors to help nip a tag hanging from the back of the tie. He didn’t want to just yank it off. “The tie was made in China,” he said. Mr. and Ms. White sidled up to Mr. Gunn and his wife, Lisa, to say hello. Mr. Gunn and Mr. White have known each other for years. Mr. White starred along with Eric Roberts in 2000’s “Mercy Streets,” Mr. Gunn’s first feature film, in which Ms. Gunn, an actress, also had a role. “I got to make out with his wife for ‘Mercy Streets,’” Mr. White said with a big laugh. “Oh, it’s getting chilly in here,” Mr. White said. Ms. White, who met her husband at a church in Malibu, Calif., when she had blond dreadlocks and was working as a personal trainer, rolled her eyes. “I’ve never been a rainbow-and-unicorn Christian,” she said later. The world of faith-based entertainment feels small and interconnected in this way. Eamonn McCrystal is an Irish tenor whose music career is managed by Elizabeth Travis, the country singer Randy Travis’s ex-wife and ex-manager who is also a Pure Flix partner. 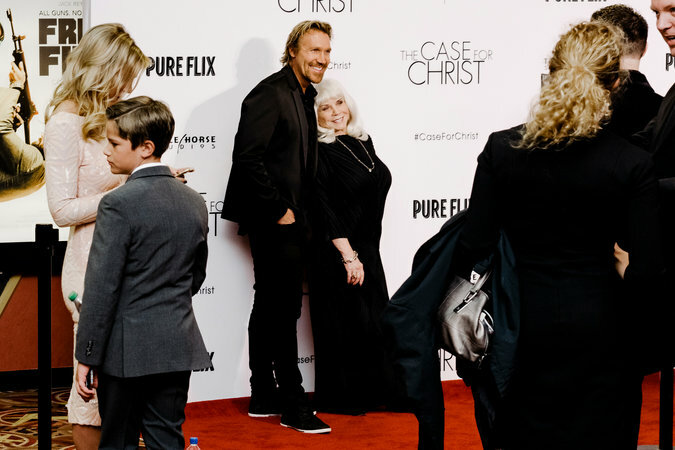 Mr. McCrystal, who played an American Civil Liberties Union lawyer in Pure Flix’s “God’s Not Dead 2,” strolled amid the friends and family of the film’s cast and crew as Ms. Travis walked the red carpet. He carried a cellphone in a leather case that made it look like a little Bible. “Oh, you’re the one that Donald Trump hates,” he said after meeting a reporter for The New York Times. Brian Bird, the film’s writer, was an executive producer of “Touched by an Angel” and worked on programs including “Step by Step” and “Evening Shade,” the Burt Reynolds sitcom that was broadcast on CBS from 1990 to 1994. When he was in his early 20s, Mr. White had a recurring role on “Evening Shade” until he stuffed a pillow under his shirt and did an impersonation of Mr. Reynolds in front of the studio audience before filming an episode. Mr. Reynolds turned his rings around and smacked Mr. White on the ear with his open palm. Mr. White was subsequently fired. Now Mr. Reynolds plays Mr. White’s father on a new sitcom Pure Flix is trying to shop to the networks, a 10-episode season of which has already been shot. In “Hitting the Breaks,” Mr. White plays a former racecar driver who moves with his family from Atlanta to a small town in Colorado, where he has inherited a bed-and-breakfast, the Serenity Inn. His real-life wife plays his wife on the show. Morgan Fairchild, Rob Schneider and Tim Tebow have guest-starred. Mr. and Ms. White would also like to star in a reality show. After the success of “God’s Not Dead” in 2014, they took meetings with network executives but the discussions went nowhere. In part “it was a faith thing,” Mr. White said. Pure Flix executives are also building a strategy to attract a secular audience so that its content is not mere “preaching to the converted,” said Alysoun Wolfe, another of the company’s partners. This fall, Pure Flix will release in theaters “Same Kind of Different as Me,” starring Greg Kinnear and Renée Zellweger and featuring Jon Voight. It also has been filming “Samson,” starring Rutger Hauer, Jackson Rathbone, Lindsay Wagner and Billy Zane, in South Africa. 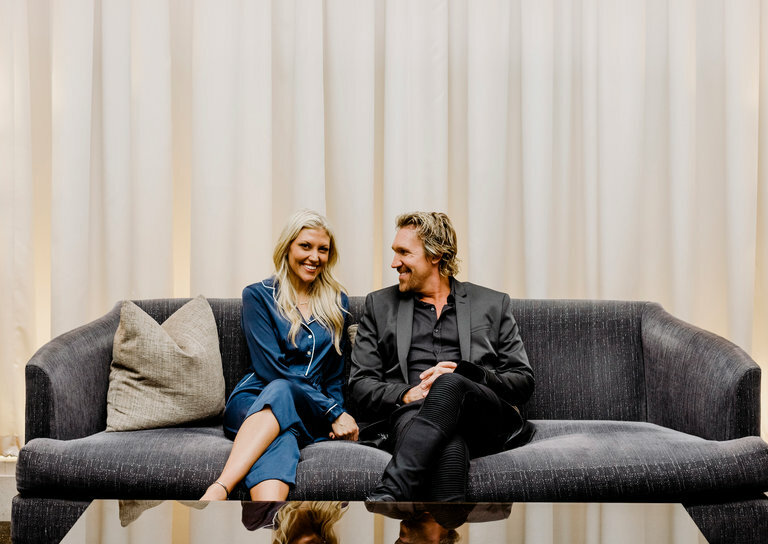 And Ms. Wolfe, with Mr. Scott, is focusing on the start of Epiphany, a production partner to Pure Flix whose subtler brand name is intended to avoid alienating non-Christians.